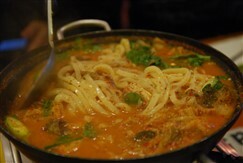 Gopchang-jeongol is a Korean stewmade with beef tripe, vegetables and seasonings, all of which are boiled in abeef broth. 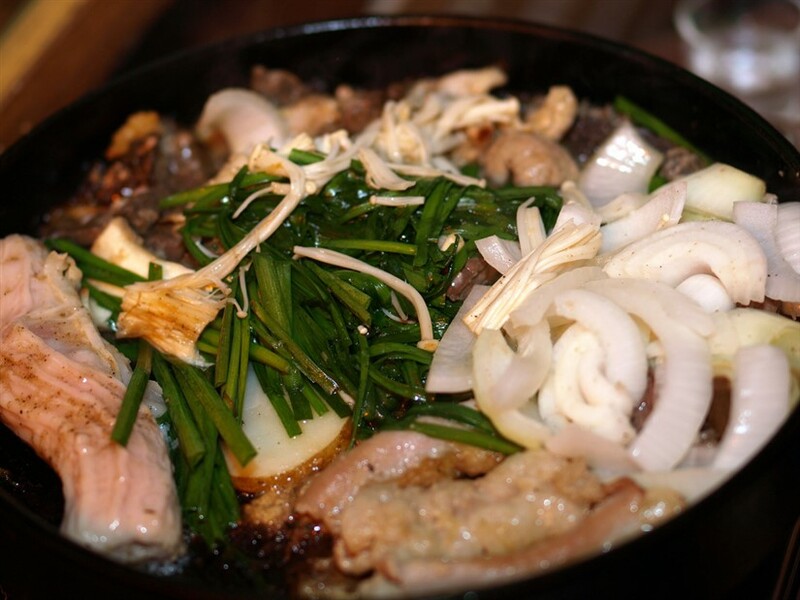 Gopchang refers to the small intestines of cattle and jeongol is acategory of stew. The dish mostly makes use of beef intestine but other partsof beef tripe may also be used in the stew. 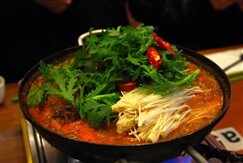 It contains gochujang which givesthe stew a spicy taste. Gopchang-jeongol is a labour-intensive and timeconsuming dish to make so it is better eaten or ordered from a restaurant. Thefat and the odour have to be carefully removed with salt and wheat flour.Apprentices also undergo years of training before being allowed to prepare thedish by themselves. A broth made from beef tripe andbrisket is used as a base for the stew. Mushrooms, green chili pepper, carrotsand other vegetables are added to the broth along with the boiled beef tripe. It is usually served as a mainentrée along with a bowl of steamed rice. It is also popular as an anju (anaccompaniment to soju).